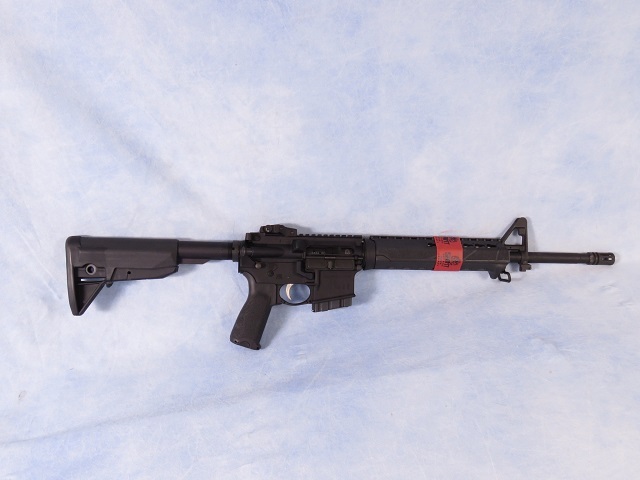 UNFIRED, Springfield Saint semi-auto AR-15 rifle chambered in .223 / 5.56. This features a 16" barrel, BCM black furniture, Keymod forend, and a adjustable rear sight. There is a soft carry case included. This firearm has an ArMaglock magazine lock is installed.